Fallon and Phil met online dating. She, getting her undergraduate degree at Northeastern and he, getting his MBA there at the same time. The pair really clicked over their first few dates and here we are today! 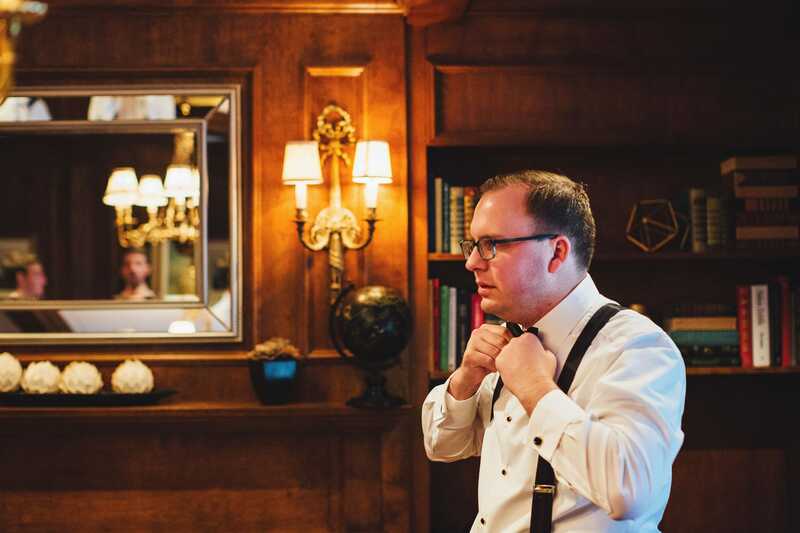 “At every venue we visited before The Lenox, we left feeling more confused and overwhelmed than we had felt when we arrived. 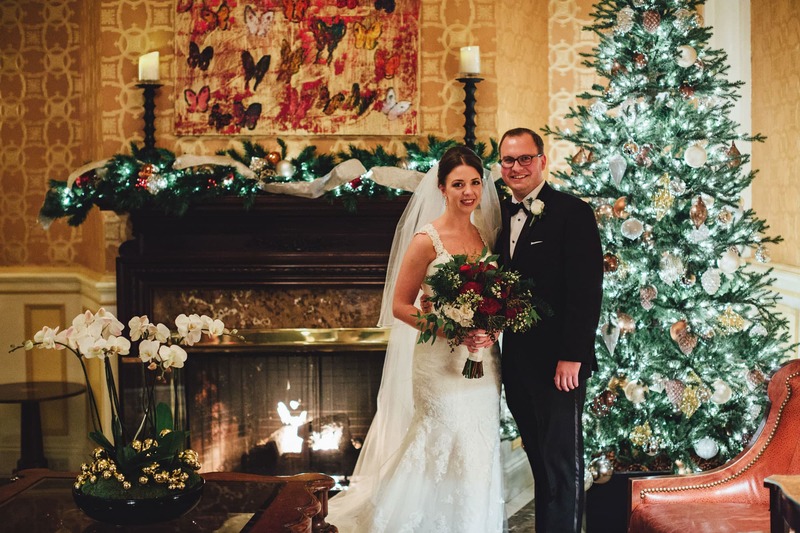 At The Lenox, we were warmly greeted and as we learned more about the wedding package they offered, the more confident and excited we felt. Everything was straightforward and they graciously answered all of our questions. The location was ideal given that we had so many people traveling in from out of town and December in New England can be unpredictable at best. 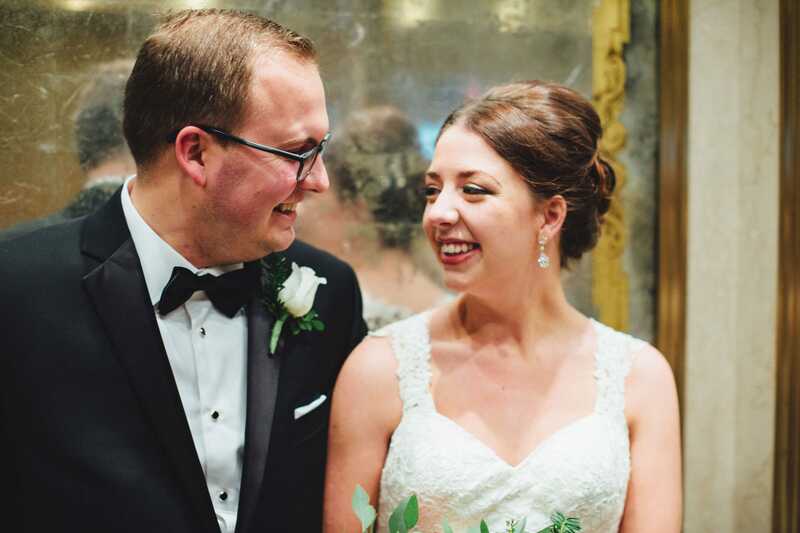 We immediately knew we were in good hands at The Lenox, so the decision was an easy one”. 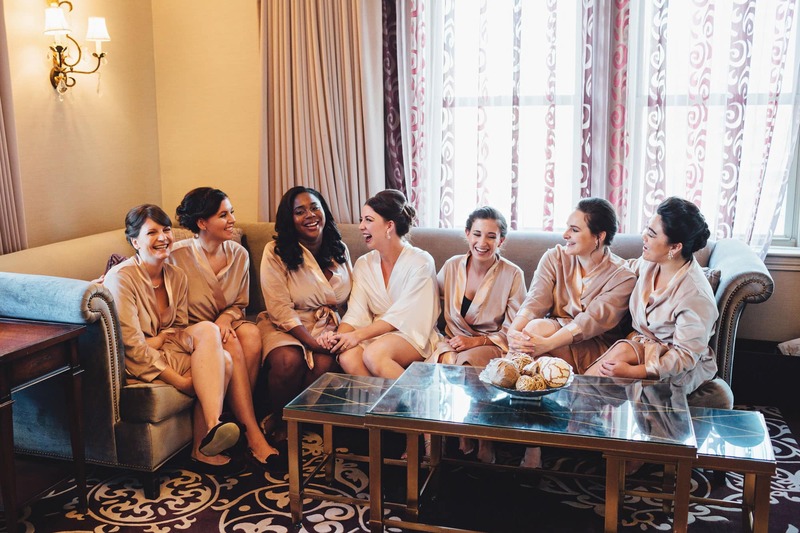 Fallon and her bridal party started the day in the Penthouse Suite enjoying some breakfast, coffee, and bubbly while Phil and his groomsmen prepped for the day (while watching football of course) in the second floor Boardroom. In the early afternoon, Fallon and Phil met on The Lenox’s rooftop surrounded by a beautiful cityscape for an intimate first look. 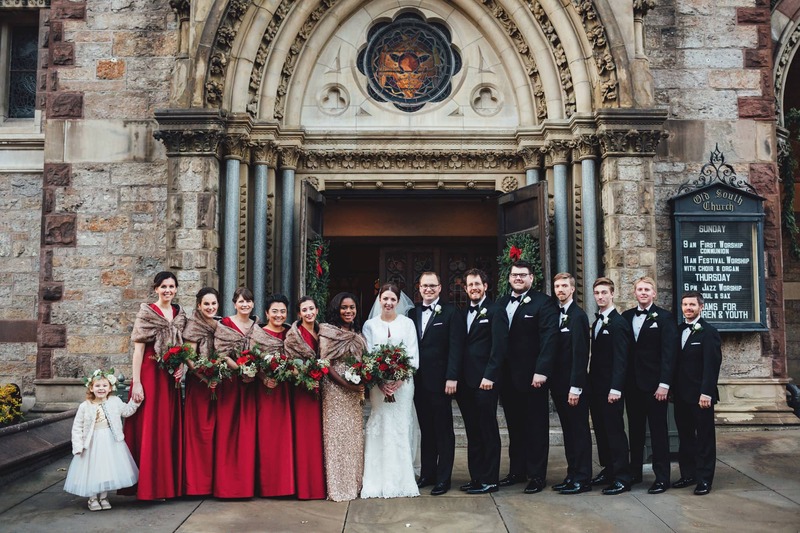 Family and friends then gathered for wedding party and family photos at Old South Church where the couple would later exchange vows. Post-ceremony, guests headed back to The Lenox for cocktail hour where they enjoyed drink, hors d’oeuvres, and live entertainment by CJ the Piano Man. Following cocktail hour guests headed across the hall to the Dome Room which was decorated in beautiful hues of winter whites, reds, and greens. 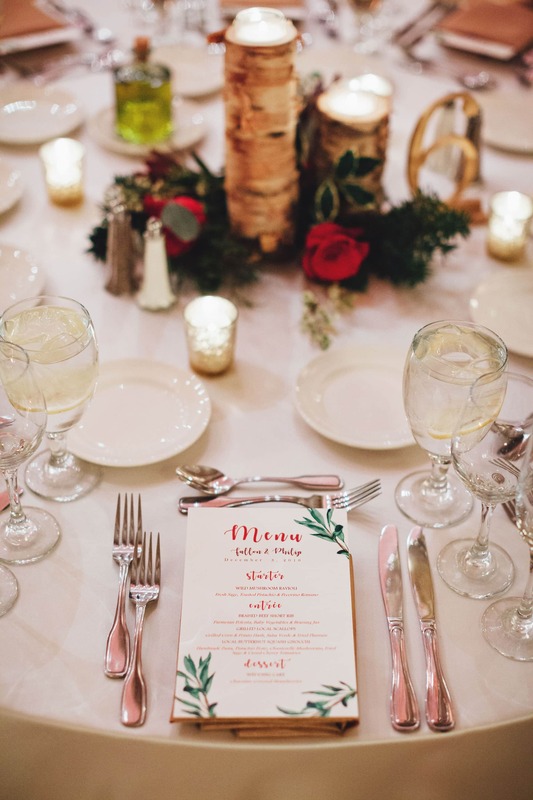 For dinner, guests enjoyed some seasonable favorites including a Wild Mushroom Ravioli appetizer followed by a choice of Braised Beef Short Rib or Grilled Local Scallops. 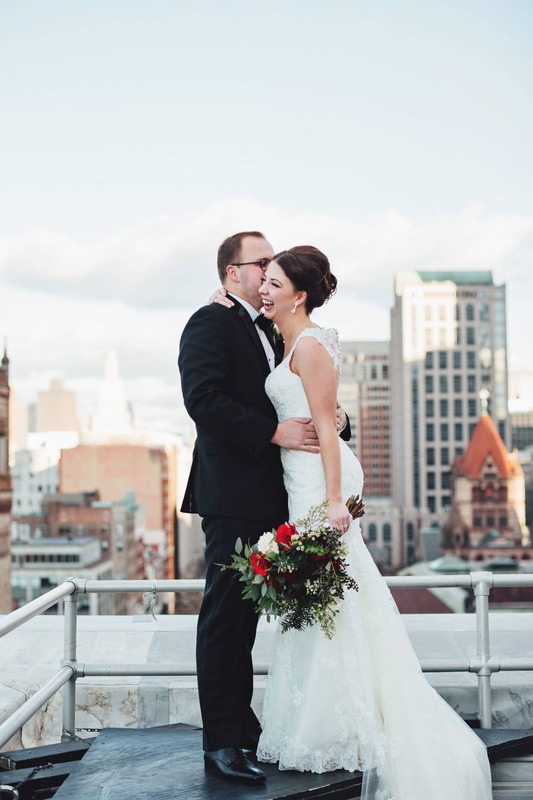 “After a day full of preparation and anticipation, Taylor led me up to the roof of The Lenox where I saw my fiancé facing the city skyline. 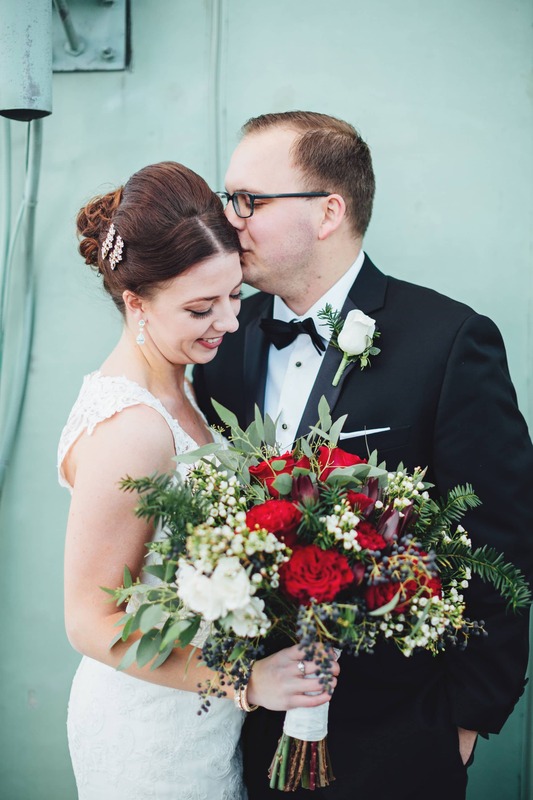 Our first look was so memorable given that we were surrounded by the city we love, celebrating our love. This backdrop made for some of my favorite photos of the day”. 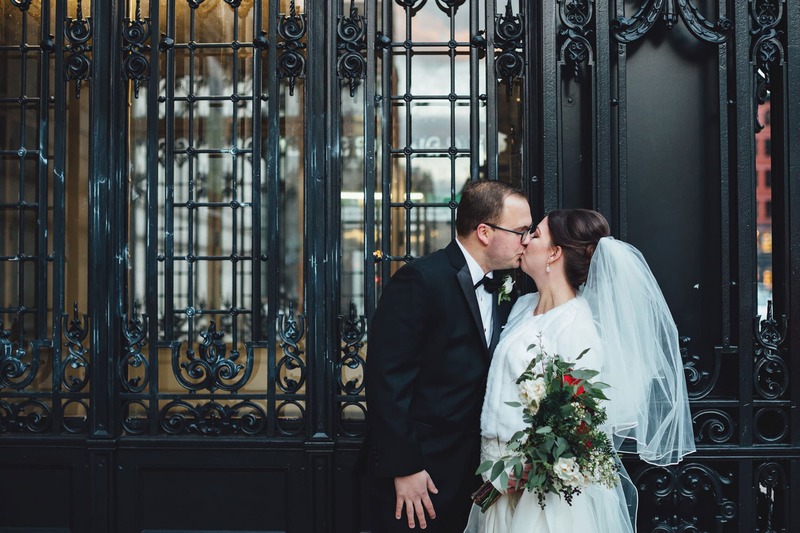 “After our ceremony concluded at Old South Church, Phil and I headed straight back to The Lenox ahead of our wedding party to the sounds of church bells ringing. 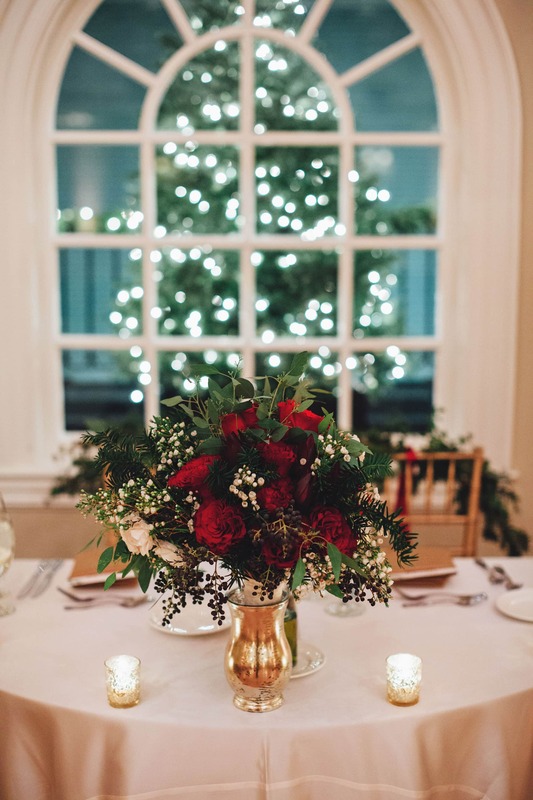 It was a magical first few moments of being married, surrounded by Christmas lights and decorations, and being congratulated by passers-by”.